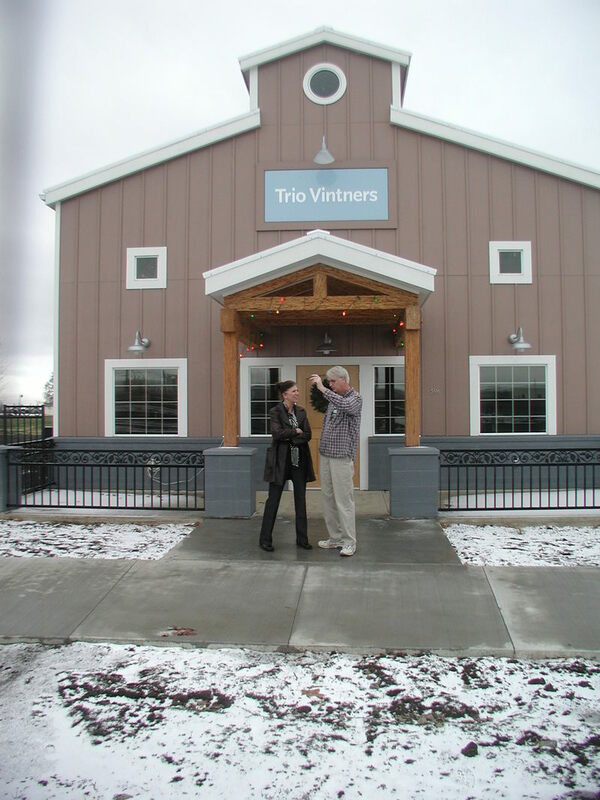 A daily (sometimes) look at winemaking with Trio Vintners - a new winery in Walla Walla run by Steve Michener, Tim Boushey and Denise Slattery. It's time for another installment of 'Steve's Wine World', musings from Steve Michener about the grape varietals selected at Trio Vintners. I think the main reason people turn up their nose at Riesling is the dreadful jug wine that flowed into this country in the latter part of the 20th century. Liebfraumilch and Blue Nun were sickly sweet blends of German wines and they turned a lot of people off to the idea of Riesling (ironically, both of those wines were mostly made from Muller-Thurgau grapes). The high-quality German Rieslings rarely made it across the ocean. Much like thin Chianti bottled in the straw fiasco bottles, the thought of Riesling left a bad taste in American consumers' mouths. Recently, however, there has been a move here in the U.S and especially in Washington and New York States to produce wine that compares favorably with the great German wines. Our climate in Washington allows us to compete--we have warm days with cool nights which combine to give lots of flavors to the fruit and then seal in the acids at night. The soils here are well-drained and there is little rainfall so the grower can moderate the amount of water the vines take up. One interesting note about Riesling from a farming standpoint: while most quality wine grapes give the best flavors when cropped to about three tons of fruit per acre, the Riesling grape seems to give its best flavors at about five to six tons. That's a more profitable position for the grape-growers and grape-buyers alike. So now you're saying, "Sure, but the Rieslings I've had are all too sweet". I think that most of the Rieslings today are done in a sweeter style (where the fermentation is stopped before the wine is dry leaving a fair amount of residual sugar ) but there are also the off-dry and dry styles that are worth seeking out. These leave just enough sugar to balance the bright acids or no sugar at all, leaving you with just the tart, tropical fruit the varietal is known for. 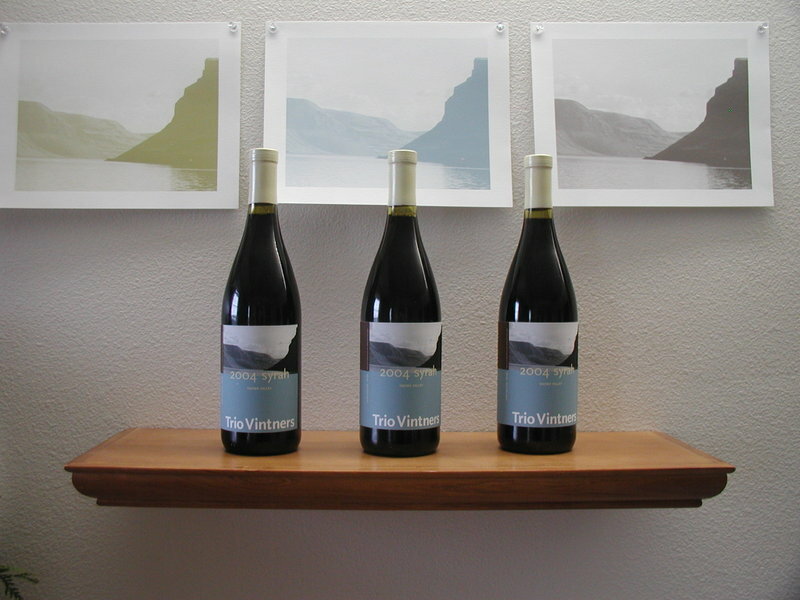 Our grapes come from the acclaimed Lewis vineyard in the Yakima Valley. Although it is better known for its Syrah we think it is a pretty special place for this varietal as well. The fruit came in with a pH around 3.0 which is very acidic for wine grapes. As we crushed it at Buty Winery we couldn't stop dipping our glass into the press-well for another taste. I would love to just filter and bottle this juice without letting it ferment sometime. It makes the supermarket juice made from Niagra and Concord grapes taste sick. After we crushed it we put it in a tank and trucked it over to WW Community College where our erstwhile instructor Mike Moyer had agreed to lend us a tank to ferment in. With this wine it is important to keep it chilled to about 50 degrees during fermentation so that you don't lose any of the delicate aromas in the grapes. It had a long slow fermentation in the tank and we also had a carboy of about 5 gallons that fermented itself using the natural yeasts in the vineyard (as opposed to the laboratory-made yeasts we added to the big tank) and that tasted great too, in a different way. When the sugar level got down to about 2 brix we stopped the fermentation by moving it to another tank and adding SO2 and dropping the temperature down to about 40 degrees. The purpose of those 3 manuevers was to remove a large amount of the yeast that had settled to the bottom of the tank, shock the yeast with SO2 so it couldn't eat any more sugar and chill it to make the temp inhospitable to the yeast. Then we added bentonite to the tank to help with the fining of the wine. The bentonite works to bind to the floating proteins and carry them to the bottom of the tank. Before you add this the wine is cloudy and afterwards it is (mostly) clear. Now the wine will sit in the tank for about a month and then we will filter it to remove any other impurities in the liquid, blend it with another lot of Reisling we are working on and bottle it. If will finish in a slightly off-dry style that will give you just a hint of sugar to balance out the acids. 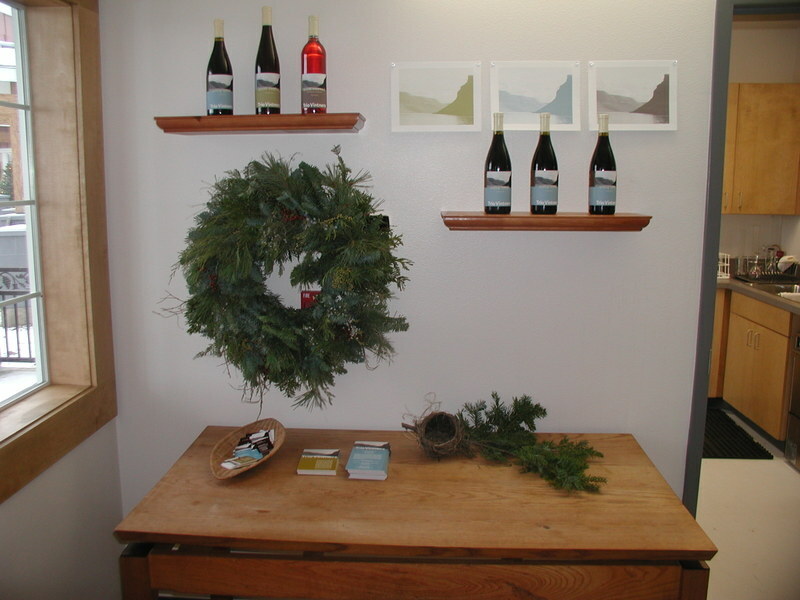 We are going to be sharing the wine with our friend Joe Forest, the assistant winemaker at Dunham Cellars. He is launching a new venture of his own and this will be his debut wine. He helped us source the grapes, Caleb at Buty helped us with pressing and Mike at the College gave us the space and chilling capability we needed. This is pretty typical of WW wine making: lots of folks helping out and everyone really concerned about the quality of the finished product. We are very lucky to be working in such a supportive environment. We will start selling this in our tasting room starting in April. 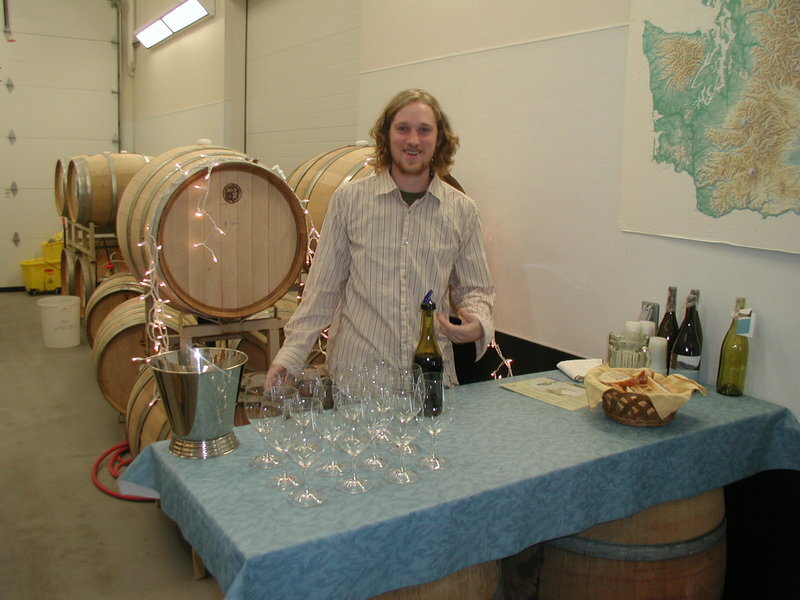 Come by and taste a Washington State Riesling. I think we will change your mind about the grape. Smells like wine, tastes like wine, but IS it wine? "The taste and the sense of smell form but one sense, of which the mouth is the laboratory and the nose is the chimney" - so says Jean-Anthelme Brillat-Savarin, the noted french politician and gourmet who wrote the book on fine dining way back in 1825. There are so many skills required of a wine maker that it seems impossible anyone could be good at it - but perhaps the greatest, most useful, most mysterious skill to possess would be that of being able to precisely define what you are smelling and tasting in wine as it progresses. It's a neat trick. Wine is a living thing and what you are smelling and tasting in a wine as it ferments and ages is the essence of its aliveness. 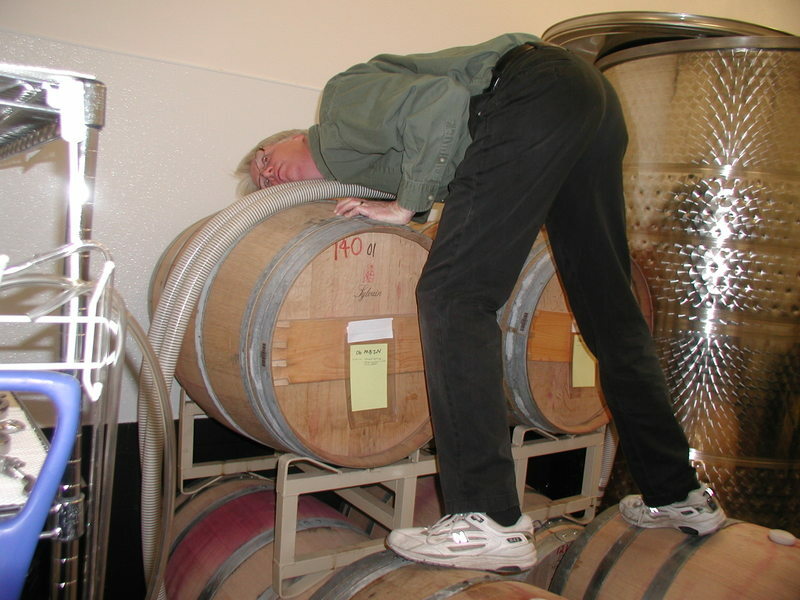 There are names for all this of course, and you can identify things based on off-odors (microbial spoilage, oxidation, volatile acidity) or pleasing odors and taste (esters, balanced acids and tannins, ripe fruitiness). But the two-step process of smelling then tasting completes the definition and brings the experience into focus. Wine makers have a fantastic vocabulary when describing what they are tasting and it's really interesting to see how easily their definitions can swing from scientific to emotional. They lead with their nose and finish with their hearts. Noticeably absent from the blog-o-sphere, I was really busy these past few weeks getting us ready to throw open the doors at Trio Vintners for our soft 'Grande' opening. 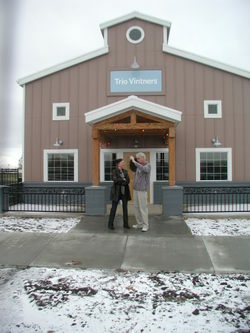 Trio Vintners took part in the 10th Annual Walla Walla Valley Holiday Barrel Tasting event. 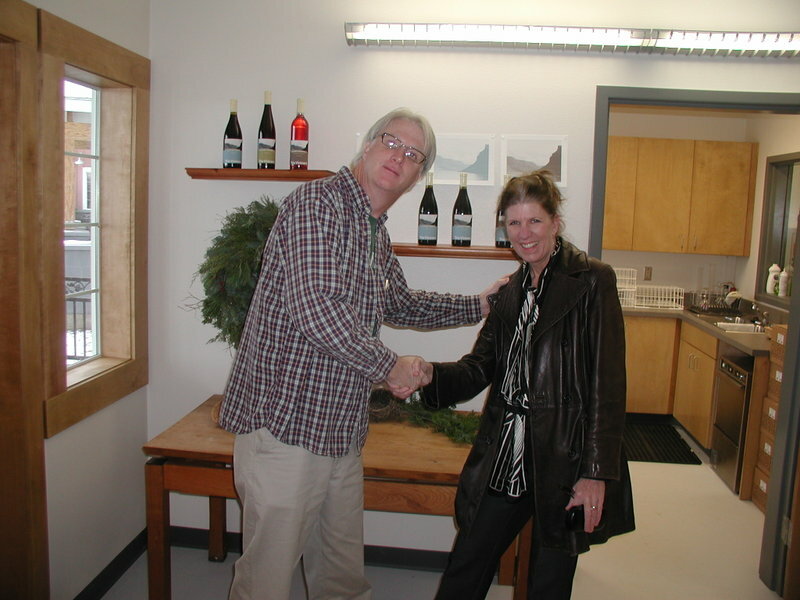 For us, it was a great opportunity to work out the kinks of operating a tasting room before we go full throttle in April and to give folks a sample of our yet-to-be-bottled 2004 Yakima Valley Syrah. This is a well-staged, highly-promoted affair that attracts wine-lovers from all over the Pacific Northwest to our tiny town . There's over 85 establishments that can be dipped into - all offering exquisitely hand-crafted wines. Some outfits are more polished than others, but trust me, no one offers anything less than a stellar bottle and a pretty cool experience. All the wine makers are on hand to meet and greet and walk people through all the particulars of their process. It's a thrill for wine geeks and very fun for the rest of us. So how did we fare? 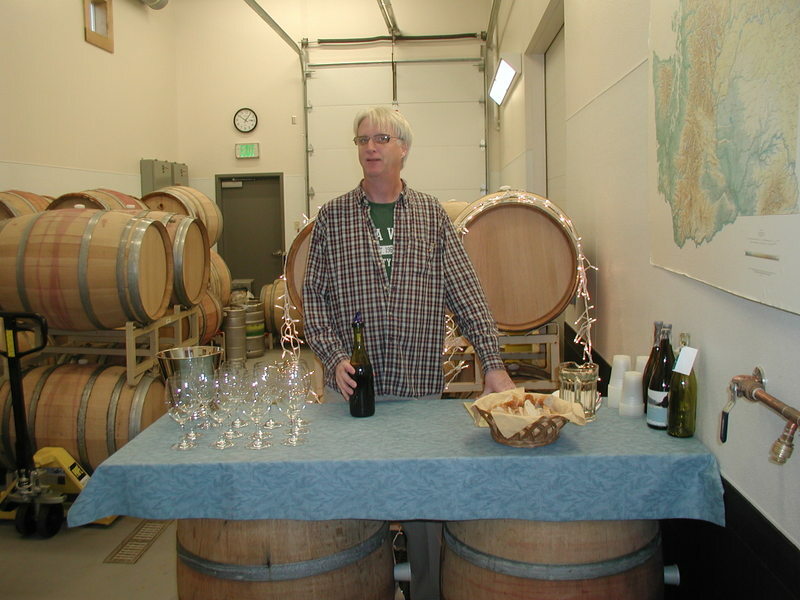 To begin with, we hosted about 300 people at our new winery over the course of three days. The incubator wineries, as our location is referred to, is so new to everyone and not so easy to find in foggy weather so this was a great turn out. We set up an lovely display of all our future releases (once again - kudos to Therese Randall for the excellent graphics and collateral) Well even we sold some futures - that is we have sold the wine before it has been bottled thus guaranteeing the purchaser an allotment - so that's very good news for us. We are feeling pleased that people want this wine enough to pay up front for it. Wow! 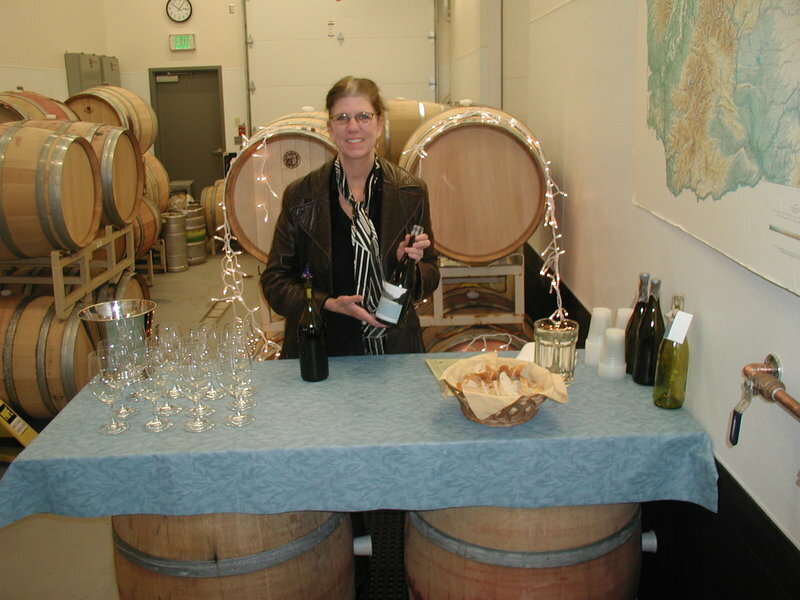 It was so fun to greet people and talk to them about our wines, wine making style, and tell our 'story'. Tim, Steve and I fell into very comfortable roles - alternately taking turns pouring and chatting. Tim and Steve are completely wonderful with people - they're both very knowledgeable and charming. I feel very lucky to have them as partners! What a blast. Also big, huge thanks to our beloved cellar rat, Kevin Uhl. Kevin, as some of you may know, is the 'gentleman suitor' of Steve's niece, Hannah Israel. Kevin has been on hand at Trio since harvest and was particularly helpful during the opening weekend running the glass-washer, helping direct people etc. Kevin starts the enology and viticulture program at the CC in January so he's getting his practicum in early! We will be officially opening in April so plan your visit now!